My name is John Louis Sublett, my son is John Jr. (he is 34 and has Autism). When he was a child and diagnosed with Autism, his first school was PS 37. We ran a toy drive for this holiday season and wanted PS 37 to receive all the toys that we received. I have a website and Facebook page called Old Staten Island ( www.oldstatenisland.org - www.facebook.com/OldStatenIsland/ ). I posted on my Facebook page, that I was running a toy drive for special needs children on the island. I named my toy drive “Toys 4 Autism”. I set up a wish list on Amazon ( I selected special toys that were good for children with ADD, Autism & ADHD). Before I knew it my mail was flooded with gifts for these children. In total my son & I were able to put together 180 small gift bags ( each bag had three small toys, a candy cane, a blow pop and a chocolate marshmallow candy bar.) 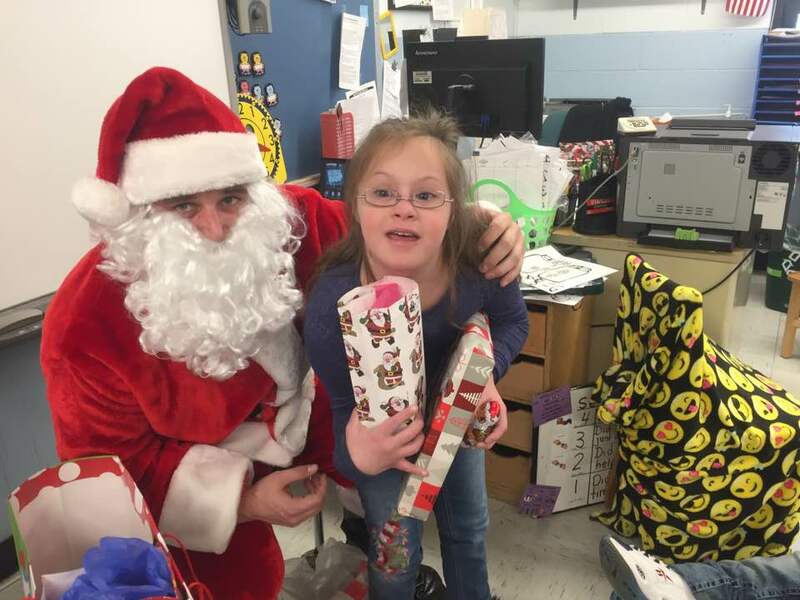 A South Shore Rotarian, Jon Salmon, saw what I was doing and led me to a fellow Rotarian, Frank Cilento, who has been giving out chocolate Santas and candy canes to many special ed schools around the island, one of the schools was PS 37. This was a perfect fit for me. He talks to the principal, Florence Korsky, of PS 37 and it was all set up. On the snowy morning of Thursday December 14th I met up with three gentlemen from The South Shore Rotary at PS 37. After meeting up with Frank Cilento and the other Rotarians, they introduced me to the principal of PS 37. To start the day we all entered the auditorium and were treated to a holiday musical show put on by many of the different classes. 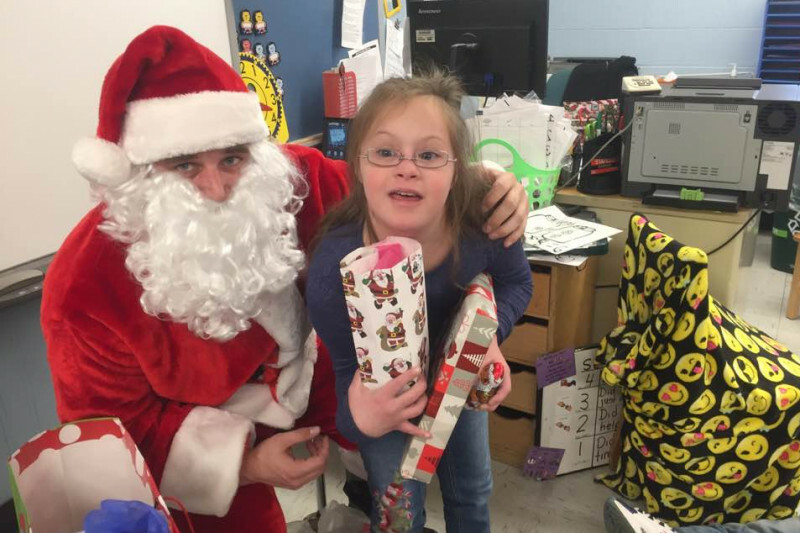 Following the show we found Santa roaming the halls of the school and enlisted his help to distribute the presents to each classroom. I was amazed at how well structured each classroom was and how well equipped medically this school was. The staff was so friendly and you could see the caring for what they were doing. All in all it was a great day for everyone, the smiles on the children’s faces when they received their gifts was awesome. But besides the kids, you could see the smiles on all us adults that were there to share some love. This was the 1st annual toy drive for www.toys4autism.org but it will not be the last. I need to thank Frank Cilento from the South Shore Rotary who took the time to coordinate what I was doing with the principal of PS 37 and I look forward to working with Frank and The South Shore Rotary in many future ventures. Money collected from this GoFundMe page will be used to purchase specialized toys for the special needs community on Staten Island, NY. Hopefully, in the future i can extend this program into the other boros of NYC. This coming year, we will again have the Amazon wish list (with specialized Autistic toys) and for those who prefer a monetary donated we started this Fundraiser page.